Regardless of the state of the economy, there’ll always be someone buying and selling property. If you’re on the receiving end of this kind of deal, it’s essential for you to find the right person to examine the condition of the premises that has caught your eye, as well as understand all details around the ideal property inspection report. If you’re a professional who’s been hired to survey a residence, you definitely need to know what the documentation process should look like. Check out some general facts on these important analyses. It helps the procedure run a lot smoother when all parties involved are on the same page. The majority of good property inspection reports have some type of cover page. Those who conduct the procedure might do this to help them differentiate one form of documentation from another. The cover sheet will typically have a photo of the property being surveyed in the middle of the page, too. In addition, the home’s address, as well as the inspector’s contact information should be present. Some professionals opt to include individualized messages out of respect for their clients. This typically has some form of introduction with general information, such as the scope of the examination, use of documentations, and sometimes an explanation of whether the reader will receive more than one type of format for the report. The use of property inspection apps enable workers to immediately download and email the documentation, but those who request a hard copy or paper version have their requests acknowledged. The courtesy letter also may involve some specific facts, such as who ‘s attending the investigation, type of property, current climate, the condition of the weather in the past few days, actual temperature, and the building’s approximate age. This portion of the report consists of all the components that are scheduled to be checked during the procedure. Areas of investigation usually include, but aren’t limited to, exterior, roofing, plumbing, heating, cooling, Interiors, insulation and ventilation, structural elements, electrical systems, attached appliances, and garage. 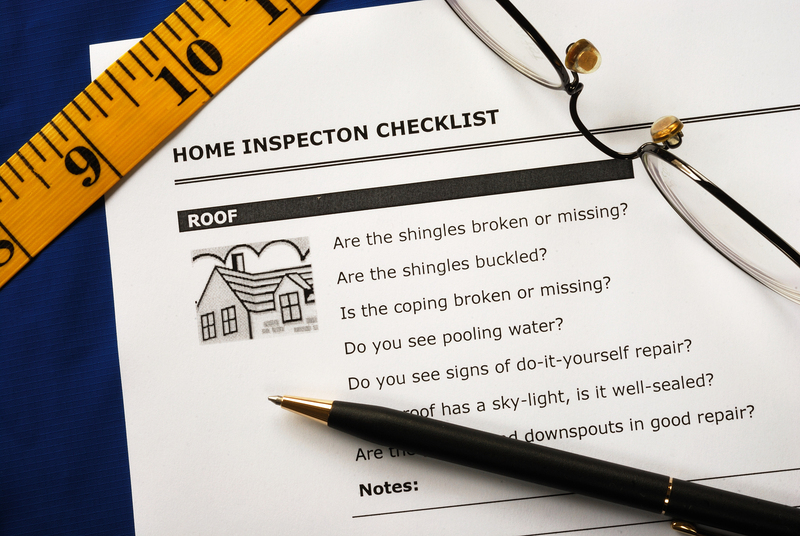 Inspectors generally provide their clients with a formalized certificate of completion after the process. This is to confirm that the property has been through the procedure. Customers may keep for their own personal records or show potential buyers as proof that the residence is fit to live in. One of the final parts is composed of rules and regulations. This highlights any limitations. For example, there may be a guarantee or warranty that’s extends for a certain number of days and the contact information if the reader decides to utilize it. The client is expected to sign the agreement as proof that they comply to the terms. Lastly, the customer gets a copy of the bill which should have a breakdown of all prices involved. Inspectors may add in a percentage of taxes which depends on each property’s size and type of observation that was needed.